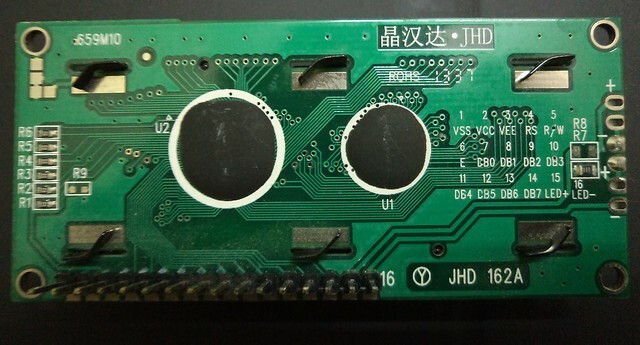 Generally these LCD have 16 pins. contrast of the LCD module. For default contrast this pin has to be connected to ground pin. But I strongly recommend to have a potentiometer. Pin4 (RS) : Register select, By using this we decide whether the information we are passing on the data bus is data or a command. When this line is low, bytes transferred to the display are treated as commands and bytes read from the display indicate its status. By setting RS line high, character data can be transferred to and from the module. Pin5 (R/W) : This is Read/Write line. Low logic on this line indicates write to the LCD module and high indicates read from the LCD module. Pin7 to Pin14 (D0 to D7): Data lines, Normally there are two type of display modes and they are 4-bit mode and 8-bit mode. 8-bit mode: In this mode we will use 8 data lines (D0-D7) to transfer the data. That is one byte will transferred at a time. 4-bit mode: In this mode we will use only 4 data line(D4-D7) to transfer the data. One byte will be transferred as two nibbles(1 nibble=4 bits). Mode selection purely depends on the number of IO lines available in your micro-controller. If you have plenty enough to support 8-bit mode, you can use 8-bit mode. But by using 4-bit mode, we can save 4 IO lines. In this post I will explain 4-bit mode. Pin15 (LED+) : This pin is the positive terminal of back light LED. Connect it to 5V supply. 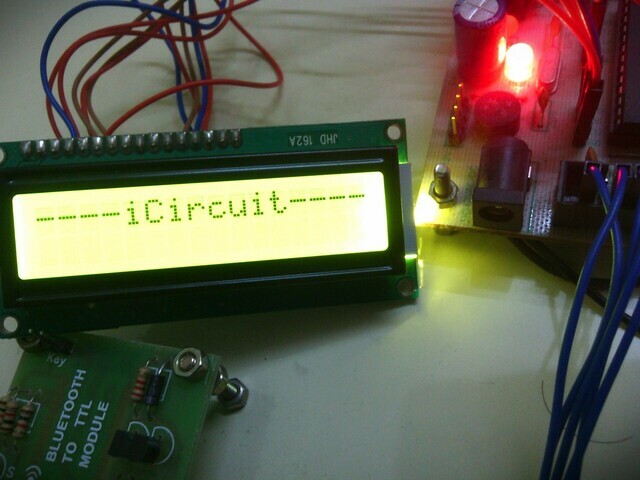 lcd_init() //to initialize the LCD with the required settings. Now we can implement the functions one by one. Now we have all the functions to display some text on LCD. So build the program and burn to HEX file to Atmega8. Hurry Up! !